G’day and welcome to the island of single track heaven. Your guides will do a group pick in the morning, before allocating rental bikes and helping riders put their bikes together, for those who are bringing their bikes and haven’t yet assembled them. 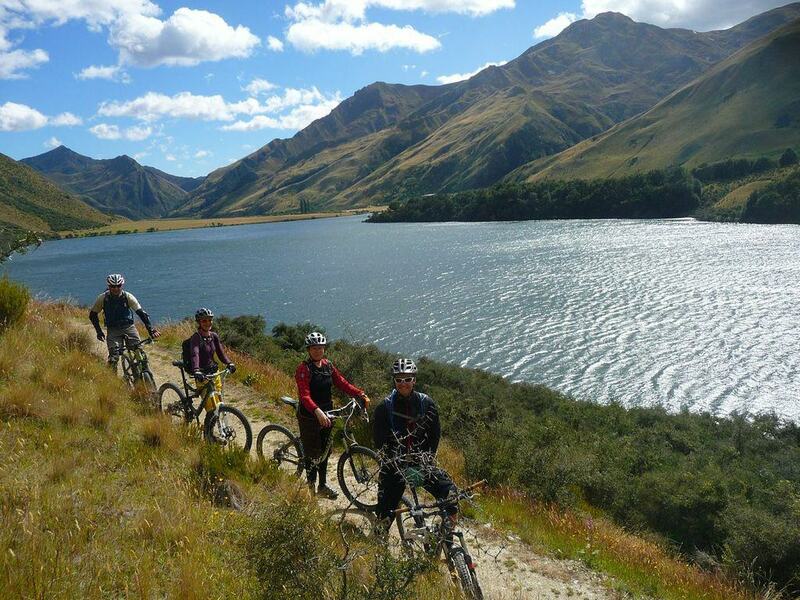 Once we’re ready to rock, we’re off to ride the picturesque Port Hills which are situated just behind Christchurch City. Starting with a nice climb to the beginning of Greenwoods Track, offering some rocky technical singletrack with killer views over the Pacific Ocean and surrounding golden hills. We’ll flow onto an all-time favorite ride known as the Godley Head Track, before descending the super fun flowy Annaconda track, ending our ride at a beautiful beach called Taylors Mistake. A nice swim and picnic lunch, before we say “sayonara” and leave the city behind and hit the road to the Cragieburn Mountains. This evening your guides will cook up a Kiwi BBQ, and we go over the next 5 days of epic single track bliss! Today we’re up early as we set off to take in the Cragieburn Mountains and some of New Zealand’s best single track. We’ll spend a good day taking in 4 of the best tracks and allowing us to tag on each track one after the other, making for a primo day in the saddle! Starting off with a punchy climb on the Lynden Saddle, linking on to a super flowy and rooty track called the Luge. From the luge we’ll tackle the scenic and incredible trails that wind through classic Beech trees and grand vista’s, known as the Draccophyllum and Hogsback Track. It’s a day on your mountain bike to remember! 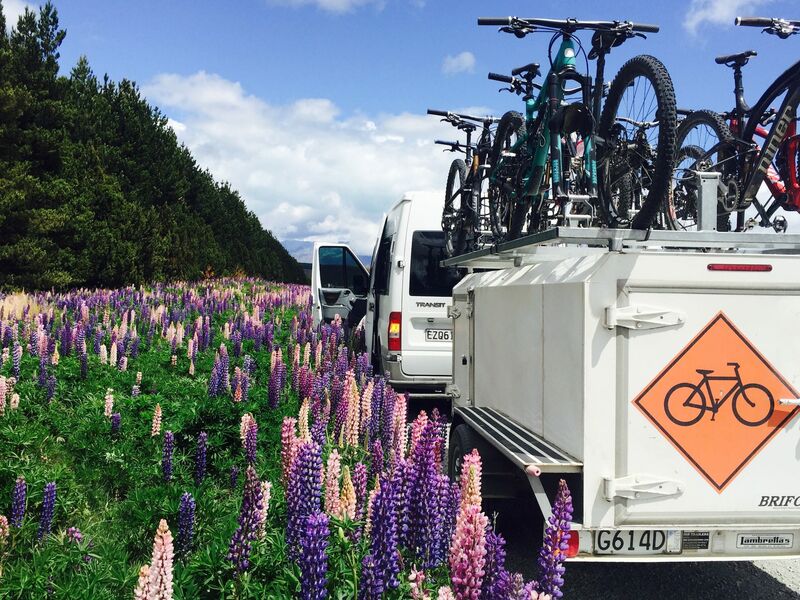 After riding, we’ll hit the open road heading south, through the backroads to explore the beautiful Mackenzie Country. Rising to the sound of local sheep in the distance and alpacas grazing, we’re off to experience some of New Zealand’s most iconic grandiose landscapes of Lake Tekapo & Mt Cook. Towering glaciated peaks and turquoise blue coloured lakes will be viewed from our rides today. Starting with a nice climb we’re off to ride the Richmond Trail above the shores of Lake Tekapo. Taking in a timeless cross country single track with steep drops and fun rocky sections. This afternoon we’re off for an exclusive ride, taking in scenes from where “The Hobbit” and Lord Of The Rings was filmed. 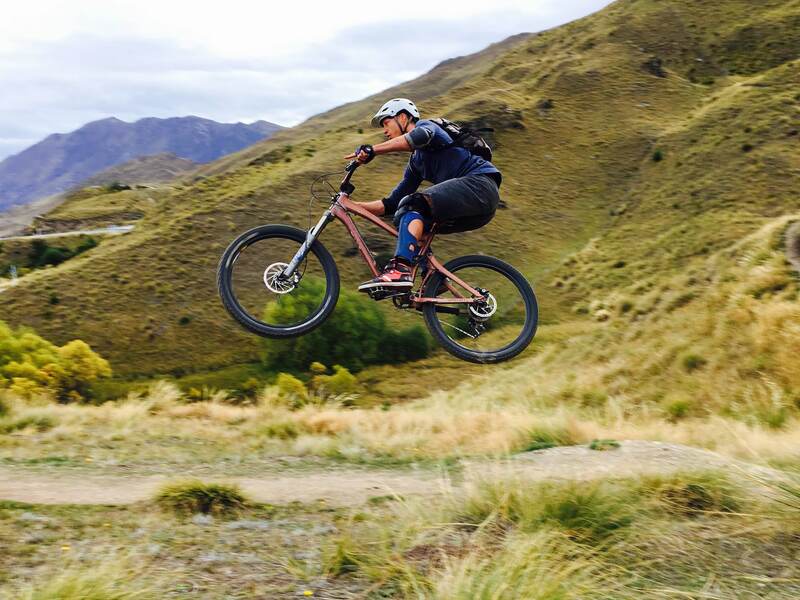 Its actual sheep single track, offering intense views of Mt Cook and The Ben Ohau Mountain Range. Ending this fine day by riding to our remote accommodation on a private sheep station on the shores of the painted blue lake of Pukaiki. Crack a coldie as you embrace the views of Mt. Cook shinning in the distance. This is as Kiwi as it gets mates! Rising to the views of mighty Mt Cook, we’ll have a nice breakfast before heading further South to a new riding mecca known as the town of Alexandra. 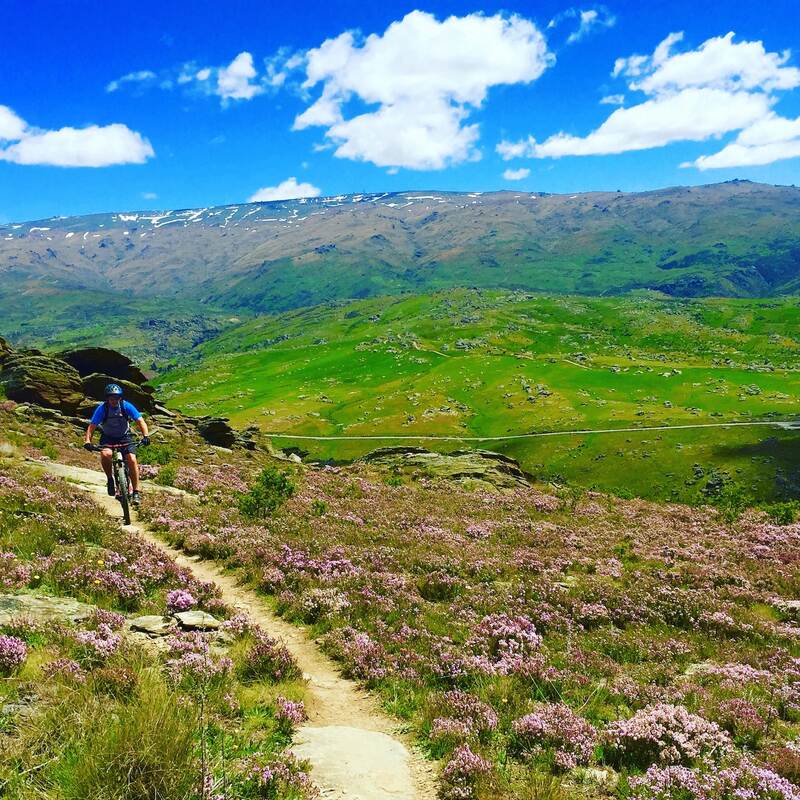 Set in the heart of Central Otago, this area is home to awesome desert like riding with a variety of arid landscapes and schist rocky single track. 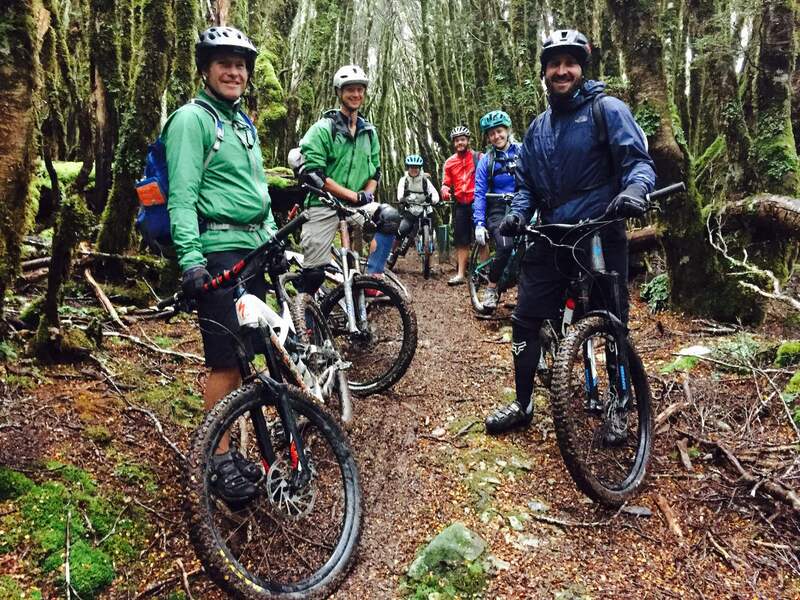 We’ll ride a classic in the area and end with some fabulous Pinot Noir wine tasting, which this region is famous for, along with its up and coming mountain bike scene. We’re in for a treat for our last day of riding! We’ll hit the road for a short drive over to Queenstown “Adventure Capital Of The World” before getting on our bikes. 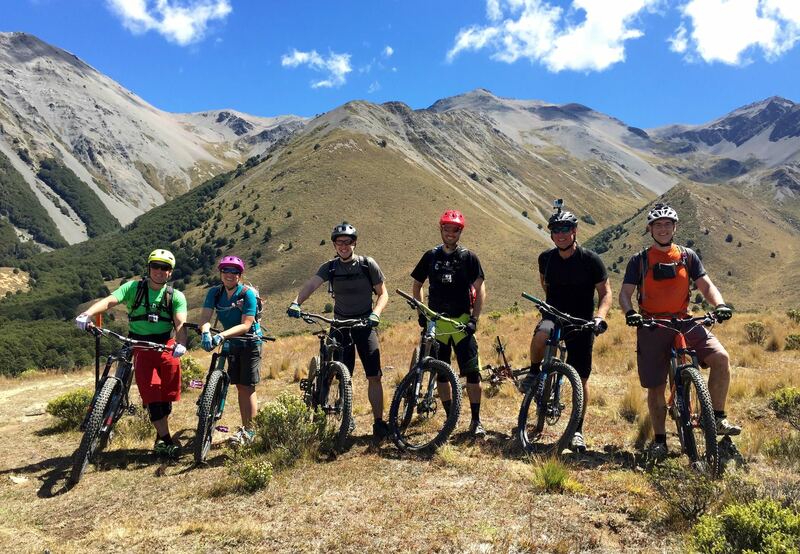 Your guides will take you for a shuttle up the top of Coronet Peak, where some famous rides await us offering views over the stunning Wakatipu Basin. We’ll start it off with a few laps of the classic Rude Rock Track, before linking onto the epic Skippers Canyon Pack Track. We’ll descend through some awesome tight single track weaving its way down a hard to access canyon in the heart of the Aurum Reserve. After grinning from ear to ear, it’s a sweet last climb on the bikes out of the canyon and into town for a cheers to our epic mountain bike adventure together! After our brew, your guides will be offering help to clean and pack up your bikes or return your rental bikes before heading off to our farewell dinner in town. Your guides will be offering airport drop offs & hotel transfers within Queenstown if you are staying longer. All drop offs will be done by 10am.